Home / Needlework / How to Wrap a gift with their own hands? 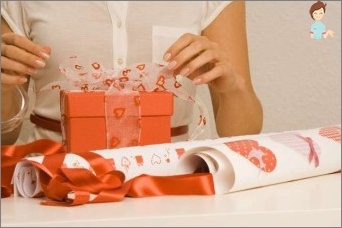 We devote a lot of time choosing a gift,We want it to be perfect, but rarely think about the package itself. And in vain, because it is through this same package, our gift could turn into a real zest to please family and friends, and thus we have. This does not necessarily spend much, ordering or purchasing special packaging, it can be done yourself. There are many ways to pack a gift, we will consider the most popular. 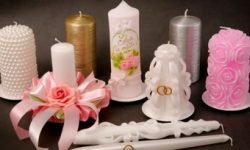 With paper - polysilk, it is characterized by its softness and fine fabrics, we can turn an ordinary box with his hands in the brilliant beautiful flower that will be pleasing to the eye. We straighten our flower petals. 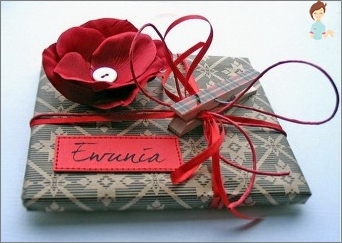 The most common variant of a beautiful gift packaging with their own hands is wrapping it in colored foil (paper). Cut the required piece of paper, which will beto wrap the box in the transverse direction with a margin of about two centimeters and laterally bending to reserve - slightly less than the depth of our present. Wrap, fastening tape, first part of the larger, and then narrow side. 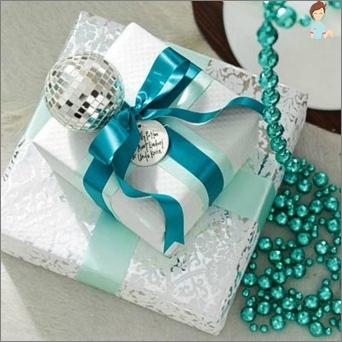 Originally packaged gift with their own hands will be using a simple paper that can be pasted or wrap the box and decoration becomes a normal color shnurochek. After repairs are always pieces of wallpaper, it isthey could not be better options for a variety of traditional wrappers. Textured wallpaper will look much more interesting and prominent figures will give a festive look. Probably everyone in childhood causes trembling andincredible joy parcel or parcel from home for the holidays. The same packing method can be used to us, it will be enough to take the brown wrapping paper and natural-colored cord or thread. All brilliant and simple. 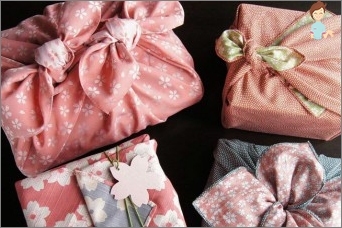 An excellent material for wrapping cloth is square-shaped, in which we zavernёm show. even the sleeve of the sweater can be used. Take a strip of textured silver (can beany) of cardboard, which is sold in the stationery department, prototyping knife cuts through the Christmas trees and snowflakes. Present packed in white tissue paper and wrap this band, and our Christmas trees, snowflakes on the front side up gently turn down. This simple idea is by package will not leave indifferent neither adult nor child! For this fit: lace, floral, satin ribbons of different colors and sizes; colored laces; Paper other colors. From tapes obtained pretty bows that adorn the packaging - a pleasure! It will be an original, and beautiful! 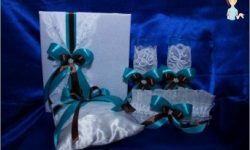 You can also gird our lace ribbona gift, it will be no less impressive, even on the contrary, will give a kind of elegance, softness and lightness. If gifts are associated with the holiday, you should use the symbols of this holiday. For example, the symbol of New Year - Christmas trees, snowmen, snowflakes. As of February 23 will be the actual tie butterfly. March 8 corresponds mimosa, snowdrops and primroses. It all depends on your imagination! 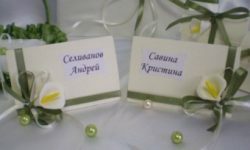 We must not forget about the enthusiasm of the birthday, itThey tell us how best to decorate a gift, help in choosing the decor. For example, the packaging of the musical sheet will be very useful to the musician, music lover. A man who likes to knit, knits will be pleasant element in the package. Also suitable gifts of nature: cones, flowers, leaves, fruit that will delight not only for its natural view, but also a wonderful smell! But they need to pre-dry the. You can not stick to the wrapper to the present, so it can spoil. You can think of a lot of great ways to packing gifts with your hands, most importantly, do not be afraid to experiment, can so you can make another man happier!